When looking at legendary groups throughout Hip-Hop history, two main elements become crystal clear: a strong in-house production team and a roster stacked with talented emcees. Collectives such as The Juice Crew and Diggin’ in the Crates exemplified the aforementioned credentials in the most incredible ways possible; however, that was the past tense, and in the present tense, cliques like the Brown Bag All-Stars are making seismic waves throughout the Hip-Hop community. 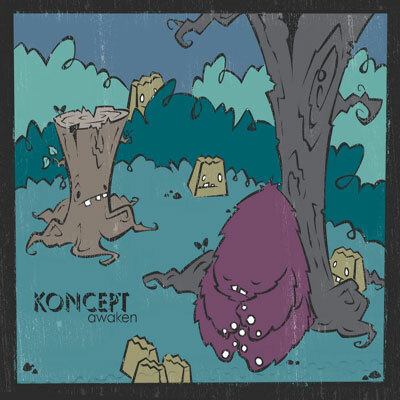 Koncept is one of the lyricists that Brown Bag brings to the table, and if his debut album Awaken is a just a small sample of what we can expect from the New York City cooperative, it’s no surprise that East Coast legends like DJ Premier are giving them a co-sign.